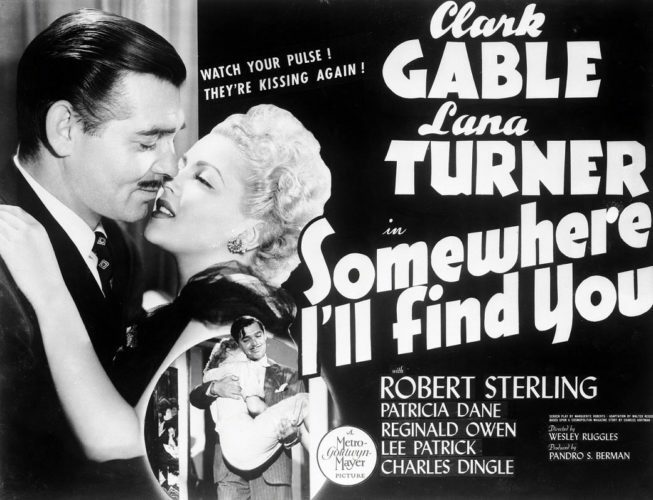 “Somewhere I’ll Find You” is a film starring Clark Gable and Lana Turner, directed by Wesley Ruggles, and released by Metro-Goldwyn Mayer in 1942. 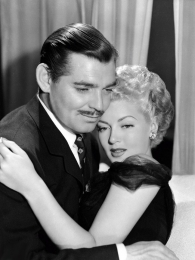 The film took almost two years to complete and was the last film Gable starred in before he enlisted in the United States Army Air Forces for World War II. 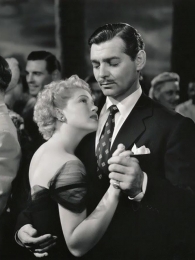 In October 1941, war correspondents and brothers “Jonny” (Clark Gable) and Kirk Davis (Robert Sterling) return to the still-neutral United States after being kicked out of Germany. 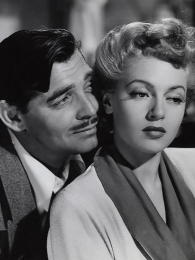 Jonny’s boss, isolationist New York Daily Chronicle publisher George L. Stafford (Charles Dingle), refuses to print his story about Japan and Germany’s plans for the world, but Jonny tricks him into doing so, and gets fired for his trouble. 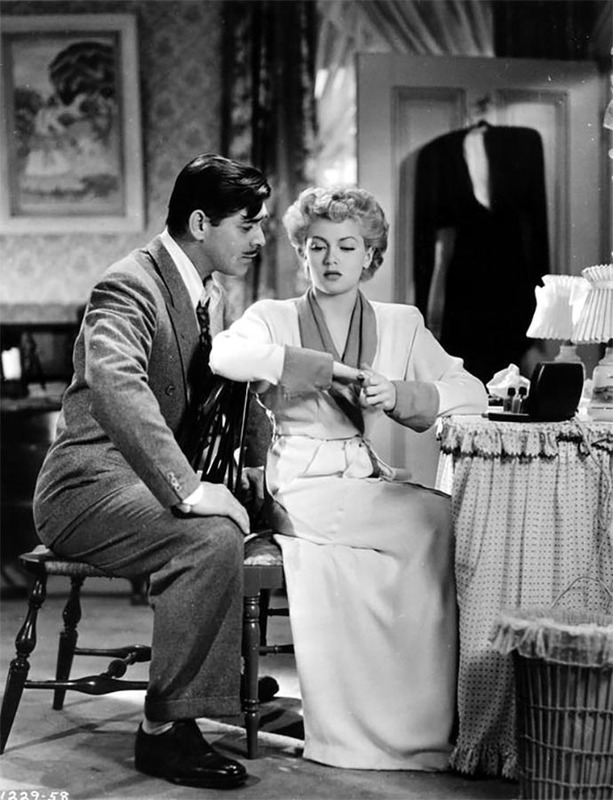 When Jonny goes to reclaim his old room from friends and landlords “Evie” (Lee Patrick) and Willie Manning (Reginald Owen), he is annoyed (despite having been away for years) to find they have rented it out to Paula Lane (Lana Turner), an aspiring reporter who wants to work as a foreign correspondent. Ladies man Jonny is very interested in the beautiful blonde, but then finds that his brother already has a relationship with her. Despite being in love with her himself, Jonny tries to arrange it so that Paula chooses Kirk. 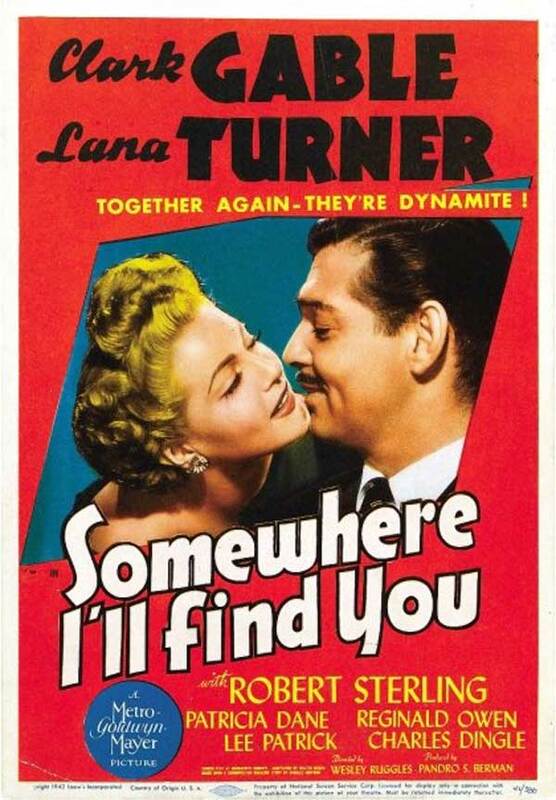 Eventually, they are all reunited in Manila … on Sunday, December 7, the day of the attack on Pearl Harbor, which brings America into the war. Jonny insists that the other two leave on a ship for Australia, while he remains behind to report for the Chronicle, but they sneak back on the pilot boat after he sees them off. 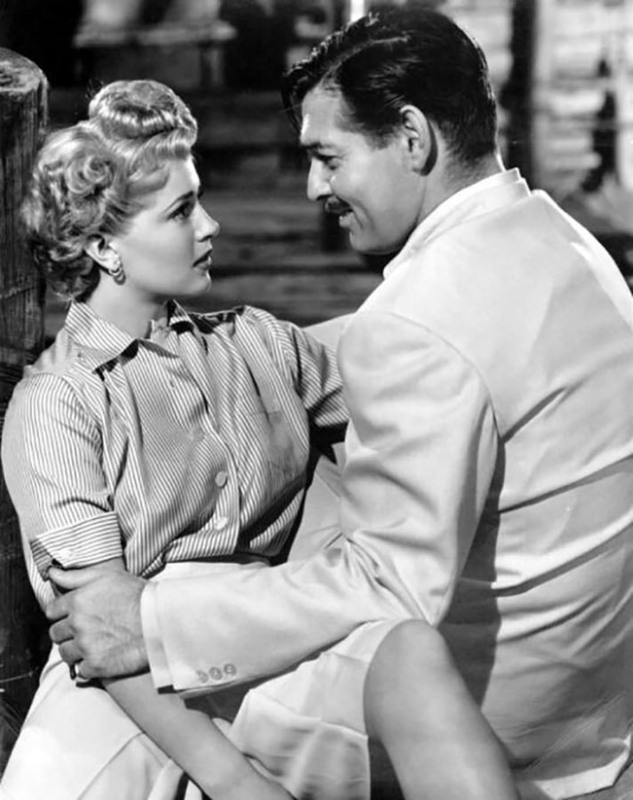 Kirk enlists, while Paula joins the Red Cross. When the Japanese invade the Philippines, Jonny encounters his brother by chance; Kirk is part of a detachment under the command of Lieutenant Wade Hall (Van Johnson) that is assigned to repel a Japanese amphibious landing. Kirk and most of the other defenders die in the fierce fighting. Jonny believes that Paula was also killed, when the hospital where she was working was wiped out, but it turns out she was out escorting a party of wounded there. When they find each other, Jonny sets her at a typewriter and starts dictating the rest of his newspaper story. 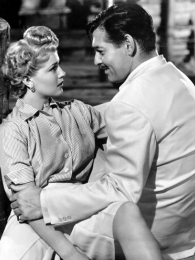 Lana Turner plays Paula Lane. 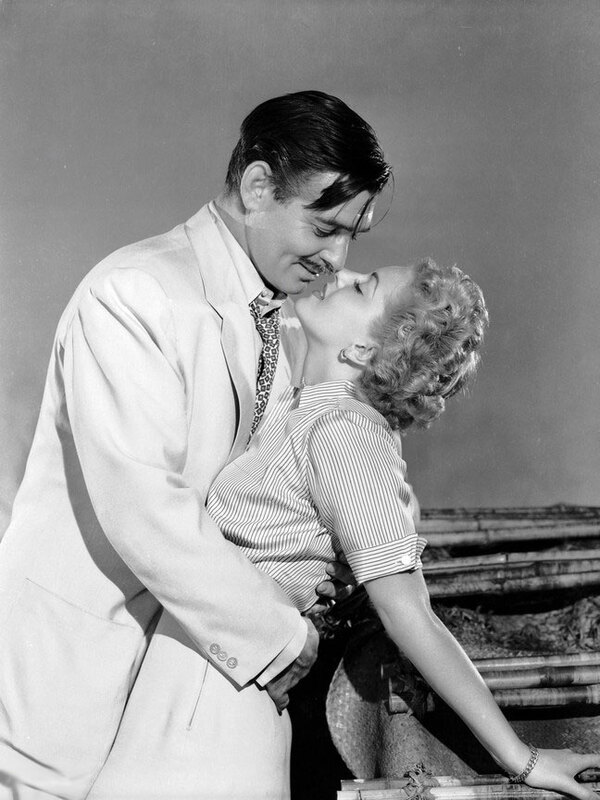 When filming just had begun, Clark Gable got the news that his wife, Carole Lombard, had died in a plane crash. He was devastated of course. 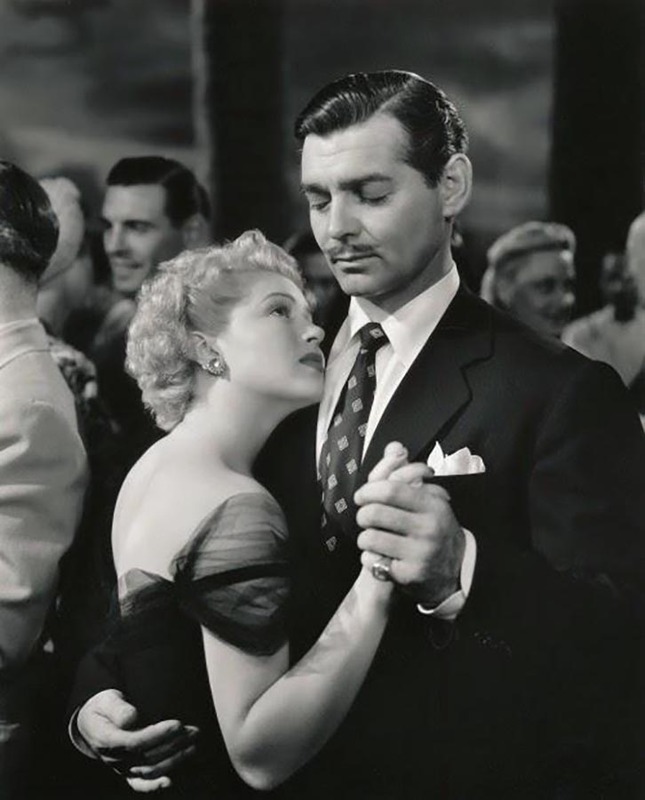 After several weeks Gable returned to the scene to complete the film. After that he joined the Army Air Force for 3 years. Lana herself went on tour with the USO (United Service Organizations). The USO is a nonprofit organization that provides live entertainment, such as comedians and musicians, and other programs to members of the United States Armed Forces and their families. Lana went on tour selling bonds and even kisses. She entertained, visited hospitals, laughed with the boys and listened to their stories. Even her hair was patriotic. Sydney Guilaroff, the hairstylist for MGM for over 40 years, created a new look for Lana’s newspaper reporter role by cutting her hair into a shorter, more sensible bob. 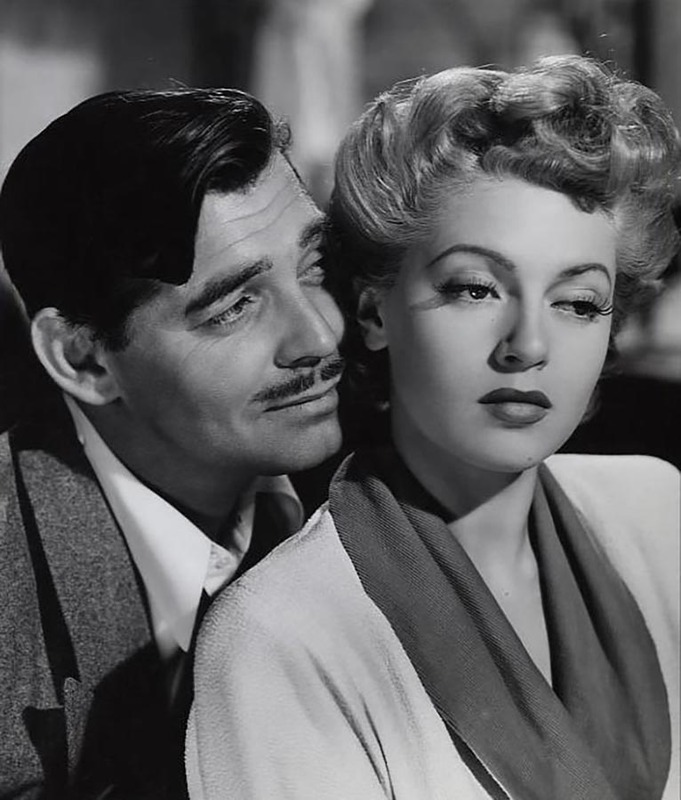 Dubbed “The Victory Hairdo,” the new style was, according to a studio release, ultra-practical and ideal for war work, since it wouldn’t get caught in defense plant machine. Metro got considerable mileage out of this gimmick – when news of the bob reached the UK, they were asked to send instructions for the coiffure to the women of the British Isles as quickly as possible.